I’ve gone to England for J-term and what should I find on the bathroom sink but this? And very good it is too. Have a good trip. What is meant by that statement? What do you expect to find on a sink in England? A pork pie? Is J-Term short for January Term? During the semester we read a few chapters from the book Imperial Leater by Anne McClintock. I shared the photo because I thought it was fun that I found that type of soap kinda out of nowhere. And, yeah, J-Term is January Term. 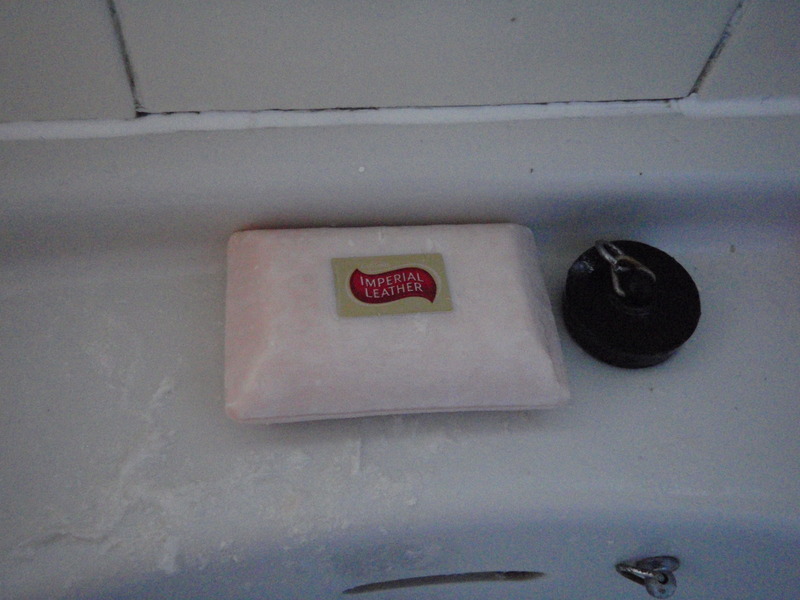 This soap was ever present in bathrooms across England during my semester in London this past Spring. The only downside is that the logo is made of metal embedded in the soap and it gets in the way as the soap wears down.